As per statistics, the ecommerce ecosystem is dominated by players like Amazon and Alibaba. Their hold over the market is so strong, that it leaves almost negligible chances for entrepreneurs, who are just starting out, to establish their own ecommerce business. Having deep pockets, the big players prefer aggressive marketing for their well-established business to drive away the competition. Such a competitive business environment makes it extremely difficult for new ecommerce ventures to survive. However, working on niche business ideas can help entrepreneurs start small and survive the competition. After careful analysis of various emerging/successful business models, we have compiled the following list for individuals and entrepreneurs; it will help you find a niche market to start your new venture. According to Statista, the global health and fitness club industry is worth more than $80 billion. Entrepreneurs, who are passionate to promote a healthy lifestyle, should look at this niche market to venture in. Products like powdered protein and other health supplements have a huge demand worldwide. By partnering with sellers who provide such products you can easily establish your niche market and make good deal of profits. Furthermore, fitness products like barbells, dumbbells, etc., can also be sold on such marketplace. How to make a health and fitness ecommerce website successful? Most established ecommerce marketplaces like Amazon sell health and fitness products but they fail to sell those products, which don’t enjoy a good demand. To be different, try to gain market share by providing the complete range. Nearly 89% people prefer buying at least one product that has a positive impact on the environment. Furthermore, with global warming becoming a threat to the environment, starting an online marketplace to sell environmental-friendly products makes more sense. Under this niche, there are several product ideas that can make more profits. Examples – easy to deploy solar kits, biodegradable waste bags, etc. Depending on your area of operation, you can partner with businesses to help sell eco-friendly products. Example – By partnering with real estate companies in your areas or individual home owners, you can help them save electricity bill by utilizing solar power. As more people become aware of benefits of eco-friendly lifestyle, shifts in the clothing industry towards environment-friendly fashion are clearly visible. Earlier, eco-friendly clothing was dominated by the rich, but as ecommerce levels the playfield, more businesses are trying to enter this niche market. You can also fulfill your entrepreneurial dream while making the planet a better place to live. Why opening an organic clothing website is the right thing to do? Not all ecommerce players sell organic clothing. 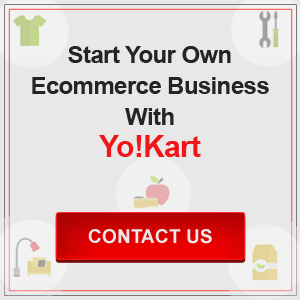 This can be an opportunity for you if you want to start your own online venture in this space. To keep high-profit margins, you can target a specific audience segment and offer luxury goods. No general-purpose ecommerce store will sell specialized/custom machinery parts for industrial usage due to less demand. This creates a gap between industries (that involve the use of complex machinery) and sellers, who sell spare parts of the machinery. Due to lack of availability of such parts, business owners are often left with no option other than to buy the spare parts from the first seller they come across. Why you should start an ecommerce website for selling industrial machinery parts? Businesses go through financial losses when their machines stop working and production comes to a halt. To help such business run their operations at optimal speed, you can provide them spare parts on-demand by custom building the part. Due to the large size of furniture, only select online marketplaces list furnishing products on their website and that too with delivery option available only for few cities. This leaves a window of opportunity open for entrepreneurs, who wish to start their own furniture marketplace and earn huge profits. To start with, you can partner with local furniture makers and list their creations on your website. Furniture has untapped market space but you’ve got to be different from other ecommerce marketplaces to capture it. People prefer to look at furniture from each angle and see how it will fit in their room. To solve this problem, it is recommended to hire a professional photographer or use advanced technology that can enable buyers preview the furniture through a mobile app placed right in their room. As most entrepreneurs and ecommerce experts may describe it, the first few steps are the hardest for anyone setting out on their startup journey. Adding more to problems, severe competition makes it even more difficult for one to survive in today’s market. To stay on the safe side, starting a niche online business can be a dependable solution. 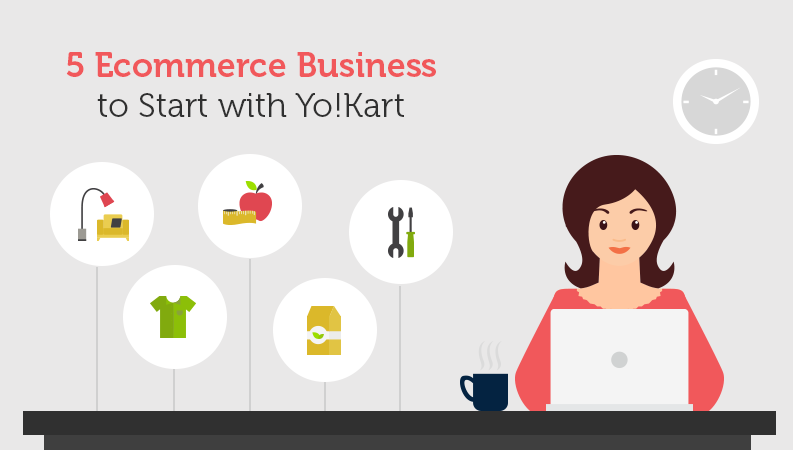 The above mentioned niche ecommerce business ideas face less competition as of now and pose perfect state for zealous individuals who plan to create an ecommerce marketplace in the near future.